Betty Erickson works out 45 minutes a day seven days a week, saying the exercise has helped her stay independent. “Everyone is in a bit of awe,” says the gym owner. 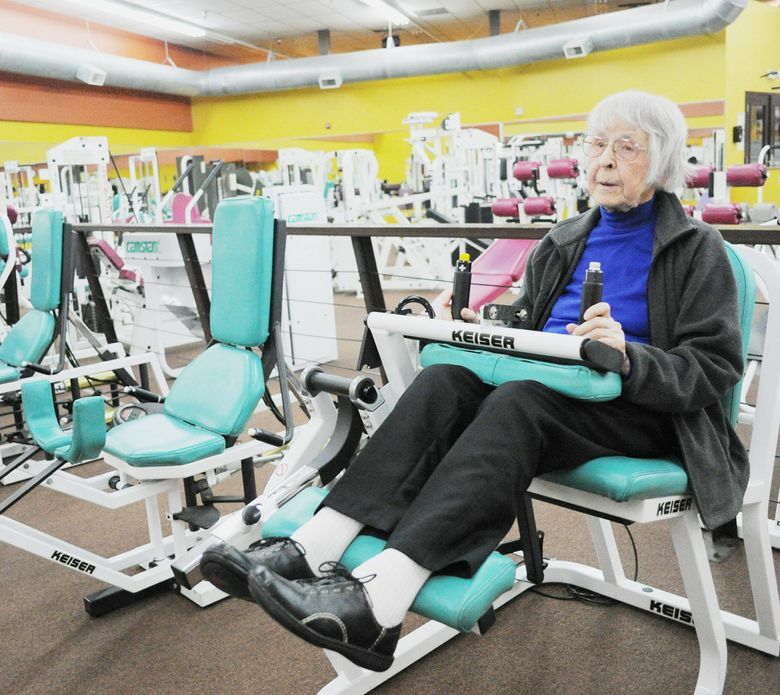 MOUNT VERNON — As Betty Erickson, who turned 100 in July, sat down at a leg-curl machine at Urban Fitness, she got a few smiles from gym patrons. “Hey, Betty,” said a woman sitting nearby on Tuesday. Erickson smiled before adjusting the machine’s resistance and starting her workout. 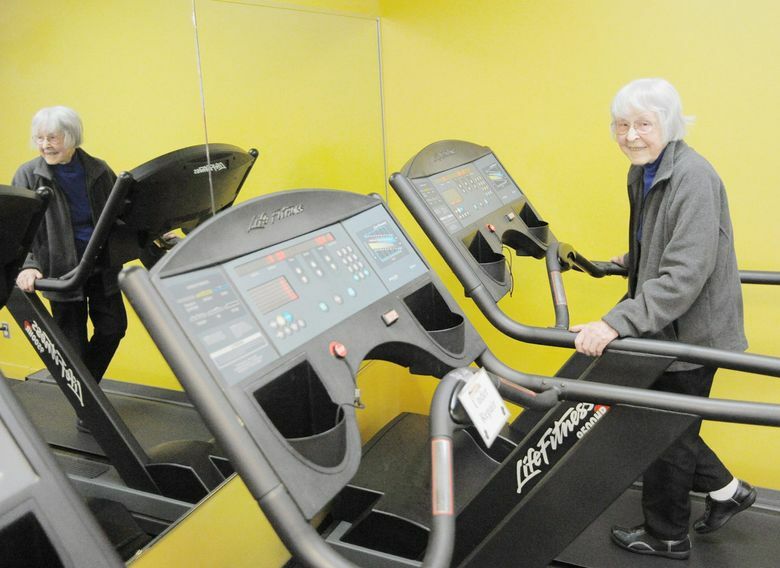 Erickson is a bit of a celebrity at the gym she’s attended for 20 years. She’s an inspiration, said owner Joy Shamburger. Erickson works out 45 minutes a day seven days a week. She spends 30 minutes on a treadmill and 15 on strength training. And while Erickson said, “It’s nothing vigorous,” she said the workouts have helped her stay independent. That’s one thing for which she’s always been grateful. Erickson moved from Yakima to Mount Vernon in 1989, six years after her husband died. She lives by herself in a condo. Her four children live in the state, but she mostly does things on her own, including driving to the gym. When Erickson started at the gym 20 years ago, she had joint pain in her knees. She said the pain is gone thanks to strength exercises on the leg curl machine. Her good fitness also helped her avoid serious injury when she fell at the age of 94, Shamburger said. She was bedridden in a hospital for much of her recovery, then moved back into her condo where one of her children came to take care of her. Cherishing her independence, Erickson worked hard to get back on her feet. She didn’t want to inconvenience her family — four children, six grandchildren and eight great-grandchildren — too long. She came back to Urban Fitness in 2015, a year after her diagnosis, and has been building her strength back up ever since. Erickson said while working out has helped her maintain her lifestyle, she said what works for her might not work for others.